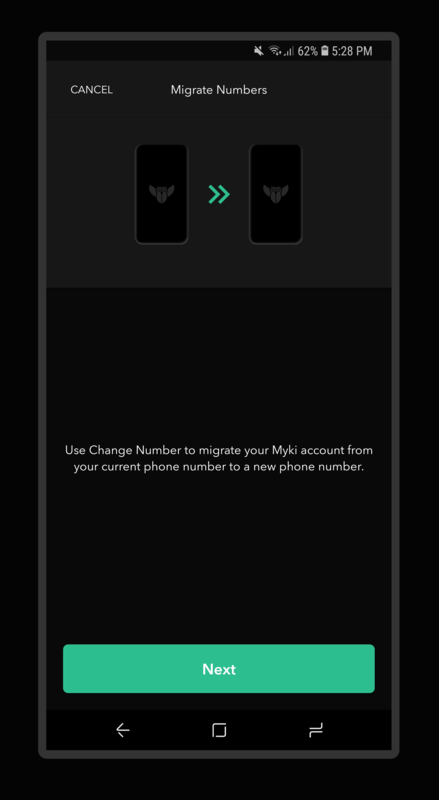 Once in the Myki App, click on the "Account" tab in the bottom menu then scroll down and tap on "Change Number". You will need to then add your new phone number, and verify it via SMS. 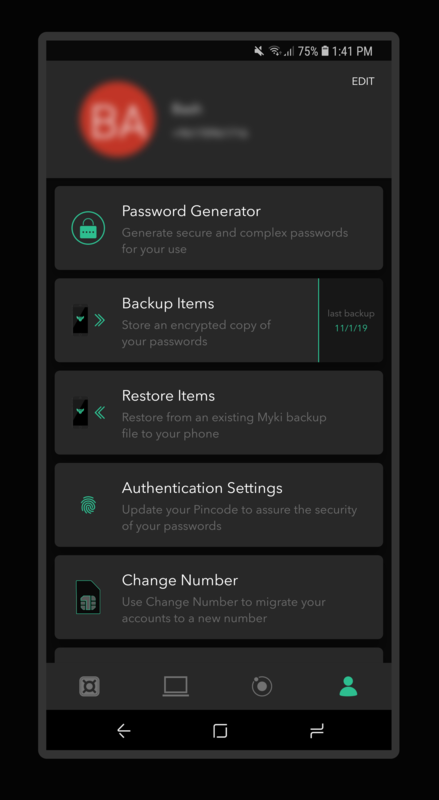 After successfully changing your phone number, you'll need to backup your current data. Click here for a step by step guide on the backup process.